Goalkeeper: Questions were asked of Alisson following the Burnley goal on Wednesday night but replay’s suggest he was a little unlucky. Either way, the Brazilian is certain to keep his place between the sticks with Simon Mignolet once again on the bench. 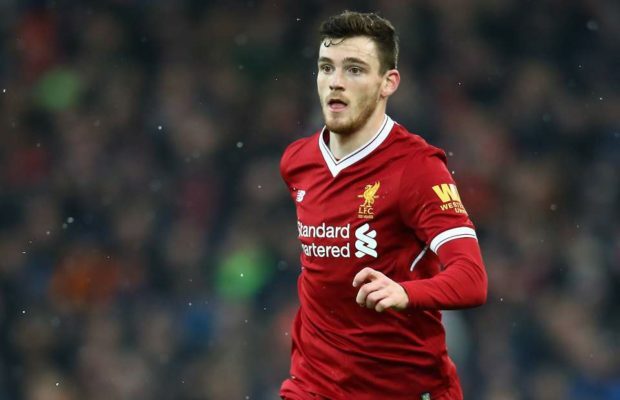 Defence: Andrew Robertson wasn’t risked against Burnley due to a minor hip problem but he’s expected to be recalled this weekend meaning Alberto Moreno will make way at left-back. Unfortunately Liverpool have received a major blow with the news that Joe Gomez has been ruled out for six weeks after fracturing his leg on Wednesday night so Trent Alexander-Arnold will come in at right-back. Joel Matip started at Turf Moor but I think we might see Dejan Lovren being recalled alongside Virgil van Dijk against Bournemouth. 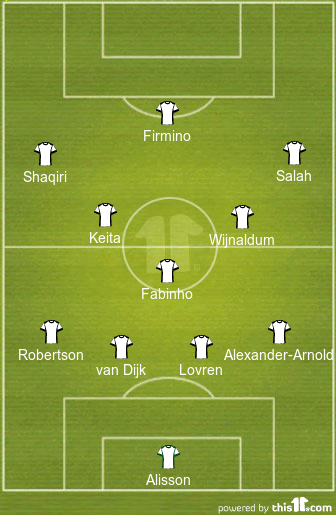 Midfield: Klopp rotated his midfield against Burnley and I think we’ll see changes again this weekend with Georginio Wijnaldum expected to be recalled after being rested last time out. Naby Keita was excellent against the Clarets so he should keep his place in the middle of the park but we could see Fabinho coming back in to the holding role with Jordan Henderson dropping out. James Milner may also make way despite scoring the crucial equaliser last night. Attack: Sadio Mane missed the Burnley game after suffering a nasty cut to his foot that required stitches during the Merseyside derby. It remains to be seen whether he’ll be available on Saturday but Klopp is unlikely to take any risks with him, especially with Xherdan Shaqiri in such good form. The Swiss international capped a fine display against Burnley with the third goal and I think he’ll keep his place in attack with Mane probably named on the bench. Mohamed Salah is expected to be recalled after being rested at Turf Moor so Divock Origi will make way. Daniel Sturridge didn’t take his chance up front as Liverpool needed Roberto Firmino to come off the bench to score the second goal so I think we’ll see the Brazilian international recalled this weekend with Sturridge dropping to the bench.